If you have a passion for beauty and relaxation, a beauty room, salon or day spa could be the business for you. With demand for beauty therapy treatments and services remaining high in the UK, this market is a lucrative one to get started in. But what’s key to a salon or spa’s success is that, alongside giving flawless treatments, you also provide a relaxing and enjoyable experience. So, you’ll need to be personable, with the ability to make your customers feel comfortable. You should also have a good deal of stamina; you’ll likely work long hours, performing multiple treatments each day. Just be wary that, while the possibility of making a great profit is there, starting a salon will require a hefty injection of capital for leasing premises, getting equipment and paying staff. So if you’re to find success you should be committed, and truly love what you do. When starting a beauty business, you’ll need to consider a key question – which beauty therapy services will you be offering to clients? Remember, in this industry staying ahead of current trends is key. If you specialise in nail art but don’t offer the new style everyone wants to try, for example, you’ll lose out to the competition – so be prepared to revise your treatment lists every now and then. “At the beginning it was all about offering a small selection of maintenance treatments. That has slowly changed and developed over the last year or so, as you listen to client feedback and pick up feelers for what they want. If you’re looking to start a hairdressers or hair stylist business, try our comprehensive guide to these here. An increasing number of men are now seeking specialist health and beauty treatments – do you want your salon to attract men, women or both? You’ll need to tailor your treatments, branding and marketing accordingly. How much money would you like to spend? The equipment needed for basic treatments like manicures and pedicures costs a few hundred pounds, whereas laser machines could cost thousands. Would you like to branch into retail? Selling beauty products at your reception will add another revenue stream, but you’ll have to invest in getting the stock. Once you have a salon concept in mind, it’s crucial that you evaluate its viability and chances of success before committing to it. To do this, you’ll first need to work out who your target audience is (find out how to do this here). You can then use this to conduct thorough market research and gain feedback on your idea from your target customers (find out how to do so here). Only when you’re satisfied with, and ready to learn from, the results of your market research should you proceed with your salon or spa idea. Naming is equal parts fun and difficult. Of course, you should love your business’ name, but it’s just as important that it works as an accurate representation of your brand image. List the words that come to mind when you think about your salon and the experiences you’re offering. Don’t limit yourself; get everything down! Then try combining them in interesting ways, exploring their synonyms, et cetera. Try incorporating your own name or nickname into the salon’s name. Try incorporating the name of the town or city you’ll be based in into your salon’s name. Leah Durrant, founder of Beauty Re:Treat, says: “The name needs to be easily remembered and show off your brand in one name. Once you’ve chosen the perfect name, you’ll need to officially register it – learn how with our guide. Writing a hair and beauty salon business plan will help you to plot out each aspect of running your salon, from your marketing strategy and plans to hire therapists right down to the nitty gritty of your financials. To create your salon or spa business plan, download your own detailed business plan template, developed by the government-backed Start Up Loans Company, for free from this page. Durrant says “your business plan is the most important thing you will have, and it needs to be detailed. Fox agrees: “I used a really detailed template, which covered everything. It does take time to do but it’s totally worth it. How much does it cost to open a beauty salon? When it comes to start-up costs, Durrant says they “completely depend on the rent of the shop, the size, the staff, the décor and treatments. Meanwhile, Nicole suggests that start-up costs can be lower, at “anywhere from around £10,000 to £15,000 upwards”. Bear in mind that you’ll also need to pay for business rates, the licenses you need to perform your treatments, and business insurance (more on this in section three) – and don’t forget the costs of a good website, a business phone line to enable customers to make bookings, and of course a till/point of sale machine so they can pay! If you aren’t able to invest enough money to open a salon right away, you might want to start a beauty business from home or become a mobile beautician to avoid paying for premises, furniture and staff. Of course, paying the cost to start a beauty salon with your own money isn’t always a possible option; so there are a range of other ways beauty entrepreneurs can gain funding to open a salon. You can use this guide to compare several popular sources of business finance, and find out whether any of them are suited to your business. How much might you earn as a beauty salon owner? The money you take home will depend on the amount you charge for your services, versus the overheads and expenses you pay out. So, the prices you pick for your treatments are very important – they must enable the potential to make a profit, while remaining attractive to your target customer. When it comes to earnings, Nicole says “Really busy salons can earn anywhere from a minimum of £3,000 a month for a busy stylist, so depending on the size of your salon, you can work out your personal salon’s earning potential”. However, you shouldn’t expect to turn a profit straight away. It’s likely that months – even years – will pass before you start taking in more money than you are paying out or investing in running your salon. But don’t be disheartened – you’ve every chance of making a fantastic profit once you’re established; you just need to be patient and work hard. “The most important thing is to keep fresh and exciting and bring treatments in that your clients want. This means reinvesting any money you may potentially earn yourself, back into your business. At least for the first few years. Adhering to legal legislation and beauty industry regulations is of paramount importance if you want your beauty salon or day spa to be run safely and legally. Learn about the qualifications and training you’ll need to complete to become a salon or spa owner. View our regulations checklist, which will take you through the beauty salon insurance and licenses you’ll need, plus financial considerations. Learn how to ensure your beauty salon or spa complies with crucial health and safety regulations. When starting a beauty salon, the location you open in is absolutely crucial to your success. If you’re not near the right customers and miles away from relevant shops and facilities, you’ll struggle to get people through the door. Competition. Get to grips with the salons and spas that already operate in the area, work out what they offer and how successful they are. You’ll want to open where other salons and relevant businesses have gathered as you’ll benefit from the fact that customers are already being attracted to the area. Availability. Seek out the available properties in each area and work out whether they’d be a good fit for you in terms of size, layout, architectural design and rental/leasing costs. Remember – there’s a maelstrom of property licensing regulations involved with opening a salon, and in some cases your local authority might not allow you to use a certain property as a beauty salon or spa – so you’ll need to confirm it with them before agreeing to rent a place. When it comes to opening a beauty salon or day spa, getting the right equipment, good quality furniture, top notch products and streamlined salon software will be a costly but crucial stage of the process. How to find suppliers who’ll provide you with beauty treatment equipment and products. Which equipment and software you need to accept customer payments at reception. Why installing beauty salon software will benefit you. 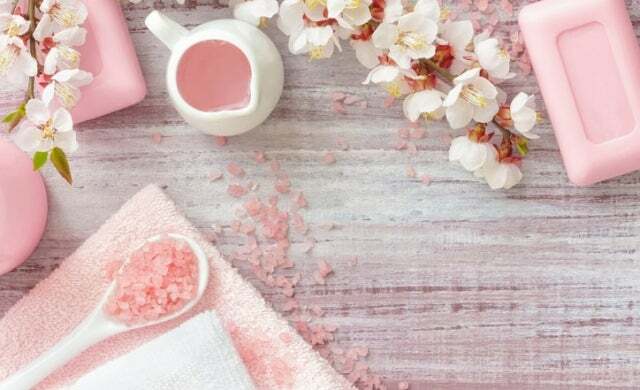 Indeed, your beauty salon or spa is only as good as the staff who work in it, so it’s important that you find competent beauty therapists to man your business. At the very least, all of your therapists should have a qualification from a recognised government body. In fact, most insurance providers won’t cover your salon unless your therapists have a Level 2 or 3 NVQ, or exam equivalent. Different candidates will have different levels of experience – some may be freshly qualified while others could have worked in salons for years. The level of experience you’d like your therapists to have is up to you. Highly-experienced therapists might bring skills that you don’t have to the table, while inexperienced therapists can be trained to perform your treatments exactly how you’d prefer them to be done. Fox explains that she looks for “a minimum of three years in-salon experience” as she is not a trained therapist herself. “However, no matter what difficult position I’ve been in, I would much rather be down a staff member than have a bad staff member. When managing shifts and salaries, it’s important to meet beauty industry standards and expectations so as not to get a reputation as an unfair employer. Therapists usually work a five-day week of 37 to 40 hours (typically including Saturdays), but some salons operate on six and seven days. Salaries for beauty therapists average at £15,000 to £20,000 a year dependent on experience, while highly experienced therapists and salon managers can earn over £20,000. Use these figures as a guideline for what you pay your staff, but remember therapists working in central London will expect London weighting too. If your therapists are going to earn commission for the treatments they book and perform – and any products they sell – this will typically sit at 10%. Alternatively, you might choose to take on an apprentice and train them at your salon while they study for a qualification. The simplest way to get an apprentice is to register with an apprenticeship training agency (ATA). These recruit apprentices on behalf of the employer (you), and arrange the candidate’s training with you. If you’d rather find an apprentice yourself, however, you’ll need to choose which course – and from which training body – you’d like your apprentice to be studying for, and request to take on a student from the course. Once you have someone, work with them to put together an apprenticeship agreement and commitment statement. These will set out the amount of time you’ll employ them for, the training you’ll provide them, and what both you and they will do to ensure the apprenticeship goes well. Government funding is available to businesses who take on apprentices, so get in touch with the National Apprenticeship Service to find out whether you’re eligible for any. With so many salons and day spas open today, each needs to prove its value in innovative ways. If nothing else, you absolutely must have a sleek, professional website – customers who hear of you will seek it out to take a look at your treatments, check out your prices and find your contact details. To get a website up and running, you can either hire a freelance web developer to work with, or use a website building platform. Cost-effective and simple to use, these platforms are ideal for beginners. Compare website builders and their prices directly and for free here! On social media, you can share images and details of your treatments, your salon’s environment and your therapists, giving potential customers a sense of familiarity with your salon. Keeping in regular contact with your clients via email, sharing special offers and updates on what the business is up to, is an excellent way to keep them engaged and thinking of your salon or spa. Durrant advises to “Market your salon from your software; send out newsletters, texts and recommend a friend cards to clients to keep them coming back to the salon and to gain new clients too”. A CRM (customer relationship management) system will help to streamline this process, personalising emails and newsletters with each customer’s name, automating sends, collating customer data and more. Check out our guide to the best CRM tools for small businesses, and compare CRM systems quotes for free, here. When people visit a salon or spa, they like to feel special. While you should always aim to give your clients a great experience, you can capitalise on this even further by crafting special packages. For example, you could include a glass of champagne with a treatment, or throw in free hand massages with your manicures. You could also get in on the party and events market, offering special packages for groups – for instance, providing drinks of their choice and giving them free samples of products. Salon customers tend to be loyal – if they’ve had a good experience with you they’ll probably come back again. You can really drive this loyalty further by offering a rewards scheme – for example, after getting four treatments the customer can have their fifth for free, or at a reduced price. Opening a beauty salon is a huge undertaking, but if you’re passionate about providing fantastic treatments to clients, there’s every chance that you will find success. With the right qualifications and training, plus some stellar customer service skills, a warm personality and a lot of patience, you can use this guide to make your beauty salon the best it can be.